Stacking Trend is still around! 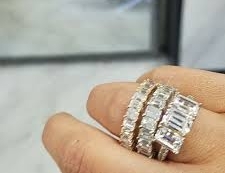 Adding a mix of contoured bands around your engagement ring creates a unique and versatile look. Choose bands that mimic the shape of your engagement ring for a streamlined appearance. Selecting rings with diamond or gemstone accents is a great way to add sparkle to a solitaire! 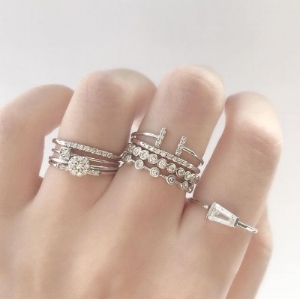 When it comes to creating an eye catching ring stack, don’t be afraid to mix your metal types! Look to rings that share another common design element.